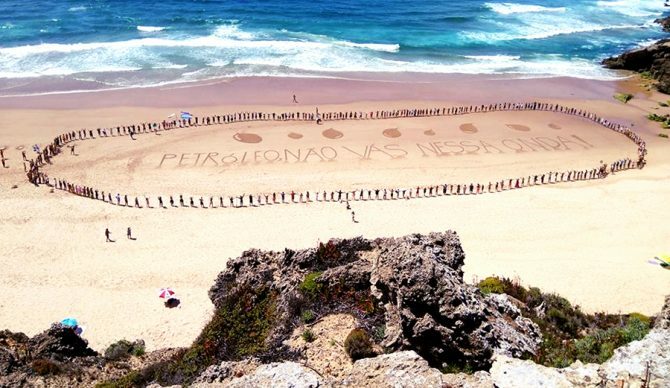 Portugal’s Galp Energia and its Italian partner ENI have decided to abandon plans for an oil drilling project off the coast of Alentejo. Galp and ENI cited legal constraints and said they “regret being unable to assess the potential offshore resources of the country.” But the announcement made earlier this week by the president of the Portuguese oil company, Carlos Gomes da Silva, marked a major victory for the people of Portugal that had fought to protect the area. Drilling, which was set to begin sometime in September or October, was suspended by an injunction accepted by the Court. The project had been strongly opposed by environmental organizations, local authorities, and tourism operators since the Portuguese Environmental Agency approved the plan back in May. “It will restore normality and tranquillity in the region, which the prospect of oil exploration took away.” The Aljezur mayor also says he expects the reported withdrawal to be a “definitive, forever” move and now hopes for a law ensuring that “the threat will not be repeated in the future”. “It’s a great victory for the country–this business decision (not political) that was due to the social and legal pressure of citizens,” says João Camargo da Climáximo. “Three years ago, there were 15 concessions awarded and there are only two left – Batalha and Pombal – and we are also going to finish them off,” said the activist. This victory is great news and an example to the rest of the world of how we can affect positive change (or thwart damaging changes) on a local level. It shows that the joining of forces works and indicates that it’s possible to confront and prevent private interests. We will now keep all eyes on any new moves, proposals, plans, and attempts to drill in Portugal or anywhere. Note: This piece was made with contributions from BeachCam.